Chocolate pan cake… and a 30th birthday. Turning 30 is a big occasion. Our eldest turned 30 this month and she had her friends from Toulouse come to Coin Perdu to celebrate. She wanted this chocolate cake which we have been baking for years in our home. Really a deliciously decadent cake and so easy and quick. I found it years ago in Annette Human’s Winning recipes 3. It is from Renie Conradie who got it from her husbands stepmother, grandma Polly. Well, there you go.. a recipe that withstood generations of baking and is still going strong. Baking the cake at 170 °C will prevent the cake from cracking and rising to a point in the middle. Gently hit the the bottom of the cake pan on the table surface to get rid of air bubbles. Add 1 tsp extra cacao to the cake mixture for a darker cake. Serve with whipped cream or ice cream or créme fraìche. The cake becomes tastier the longer it stands. ..Serrano ham from Spain o,narustic shabby chic ham board.. ..I want to sabre my own champagne!.. ..1, 2, 3 et voilà!.. ..oh dear…a little too much muscle!.. ..joghurt marinated legs of lamb..
.. chickens basted with apricot puree..
..a chandelier in the walnut tree for some romance.. The day after the night before always starts in slow motion. Crawling out of tents, coffee with brioche, and a shower finally opens up heavy eyelids. so much so that a rugby ball can be thrown about by the brave, others go for walks and pick wildflowers(which would find their way onto my dressing table, since it was mother’s day), some just hang around in a deep chair, and the real brave ones get onto a horse. Finally everyone gathers to fill stomachs on leftovers, tent pens are pulled out, cars wave goodbye and the sun sets on a 30th birthday. Long may she live to remember this year! Carrot and and poppyseed cupcakes. I am participating in an art project for the month – Everyday in May. And today’s theme is cupcakes. I decided to post it here on Myfenchkitchen as well, seeing that cupcakes are food as well(of course!). I can eat anything carrot…raw, cooked, soup, juice, salad… and cake. Combine it with poppyseeds, lemon juice, and yoghurt and it turns out quite satisfactory, very satisfactory in fact. EDITED: I forgot to add the carrots to the recipe! 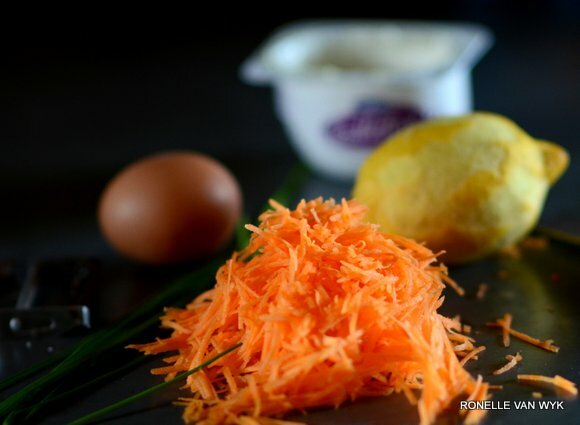 Add 1 large, or 2 medium carrots, peeled and grated to the mixture and mix lightly. Don’t overmix. Add chopped olives to the mixture and top with goats cheese. Use a vanilla yoghurt instead of natural yoghurt for a slightly sweet taste. 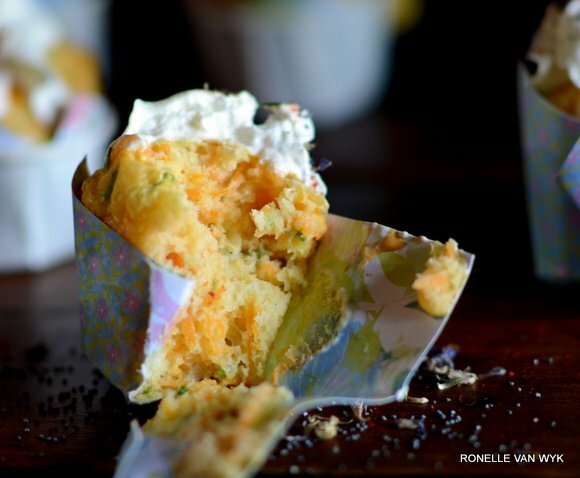 Top with whipped cream cheese with chives or top with a creamy goat’s cheese. Baguette aux fruits rouges et jambon de Parme(baguette with red berries and Pama ham)..and a sign for every shop. It happens to all of us: that day when the house is empty but the people hungry. If you have a baguette at hand(like all French homes do), some kind of fruit, like red berries(which you should have, because they are packed with health benefits!) and some ham somewhere( if you dig deep enough, I’m sure you’ll find a substitute! )…well, then you have a meal and a great one at that. Good enough for a snack or a lunch or a brunch or a light dinner. I am not giving any formal recipe for this baguette aux fruits rouges, it is all up to you own imagination. see the pincée de fleur des sel for some guidelines..
Use baguettes and cut in half so you have a solid “base” which helps prevent the bread from going soggy. I used a cheese with walnuts as a spread , added the red berries of my choice, drizzled with olive oil maple syrup and a little lemon juice, topped with thin slices of parma ham and grilled quickly in the oven for a minute or two. Serve warm with extra chopped walnuts and maple syrup. Serve with a green salad if preferred. ..a sign for every shop.. Some are brightly colored, tongue in cheek, funny… will they invite you in? Some are regional and they have to really be original to stand out.. Sometimes though, high and clearly marked in old script..! Mine again…in the atelier…just to distinguish between the art studio and the “pretty”art exhibition! In the wine area a multitude of signs direct you to the multiple domains and cellars and wine shops. This is the grande grappe de raisin just opposite from where we lived and was always a beacon. These following ones were all in close proximity when we lived in Montlouis sur Loire. Cave of course meaning in this case wine cellar….the bunch of grapes is there to make sure you don’t arrive with your climbing gear. An oringal way of luting passers by to a wine cellar and regional products. With this sign I had a personal affair….right behind it is a parking where I always went through to get into the main road. this sighn always blocked my view to check for oncoming traffic, so I had to get out and move it back as you see it standing now, got back into my car, checked my left and rights and into the traffic I went. Not quietly and patiently, but rather doorslamming and sighing and armslinging and a lot of ZUT, ZUT, ZUT! It happened every day for the whole time we lived there. It is just one of those things. Instead of going over to the cellar and fixing it, I just moved the thing each time with a French attitude. I miss it. These cute board signs are just simply fun. This rustic tart is prepared in a jiff, bakes 40 minutes, just enough time to get the coffee ready, clean up and call everybody to the table under the old oak tree. Use pine nuts or pistachios instead of almonds. Be careful not to use too strong a honey like lavender honey which will completely overpower the tart. Serve warm with a dollop of créme fraiche, or a dollop of ice cream on hot days. When the flesh of the nectarines stick to the seed, place the nectarine on its stem side and cut a cheek on each wide side of the nectarine from top to bottom, close to the seed. Cut each cheek in half to get neat quarters. Cut off the rest of the flesh on each narrow side of the seed which already resembles en quarter. Yesterday it was time for the new mother hens and their chicks to be upgraded to the chicken coop. When the chicks are born, I always take them and mamans from the chicken coop and keep them aside in a basket with me where I know they are safe and I get to enjoy the chicks more as well. Every moring they are taken outside and the flap lifted and they scurry out, happy to see light(and me, I hope) and every evening they move into their beds themselves, I close the flap and bring them inside. After a three weeks or so, when the chicks are strong enough and they start walking with the rest of the flock, I walk them to the chicken coop late afternoons, have them investigate and integrate en find their spot among the others. This takes a few evenings, because the rankings have now been disturbed in the poulailler and new ones have to be established. Never a dull moment. ..les deux mamans et leurs petits poussins..
..le gardien devant la poulailler (guarding the chicken coop).. In “le jardin de Ronelle” everything is a bit wild in July. The weeds win me over a bit, the lawns need constant mowing and trimming and deadheading drag behind. The chicks appear and begs for attention, the rabbits multiply and eat my salads… the tomatoes are growing like Jack’s beanstalk and we can keep up with the abundance of courgettes! Not to forget my constant desire to plant more and change again and again. ..les lapins n’attendent pas une invitation, elles sont trop à l’aise déja(the rabbits don’t await an invitation , thye just make themselves at home)..
At times like these, I just sit back and start focusing on the corners and little details that work together to make a garden. Some small corners and moments that give me pleasure. They tell a story in their own way. .Quelques morceaux de porcelaine voisinent un pelargonium odorant dans la mini serre ( old pieces of porcelain next to a scented géranium in a mini greenhouse)..
..mon chéri picking some nectarines..
..J’adore mes pelargoniums odorants sur la table ( I love my scented geraniums on our outdorro table)..
Ice cream is a big favorite in our home. Usually I have my one or two scoops in a little bowl and mon chéri takes over the rest of the contaziner. As you see here, Carte d’or being very popular here. Apparently Carte d’Or saw the light in 1978 in France with only 5 flavors and their latest flavors arr absolutely just to die for..I am close to not handing over the container to mon chéri! See Carte d’Or here. ..dipladania blanc et les lavandes à l’arriére plan ( dipladenia agains a backdrop of lavenders)..
..un verre de vin, une magazine et la tranquilité (a glass of wine a magazine and calm)..